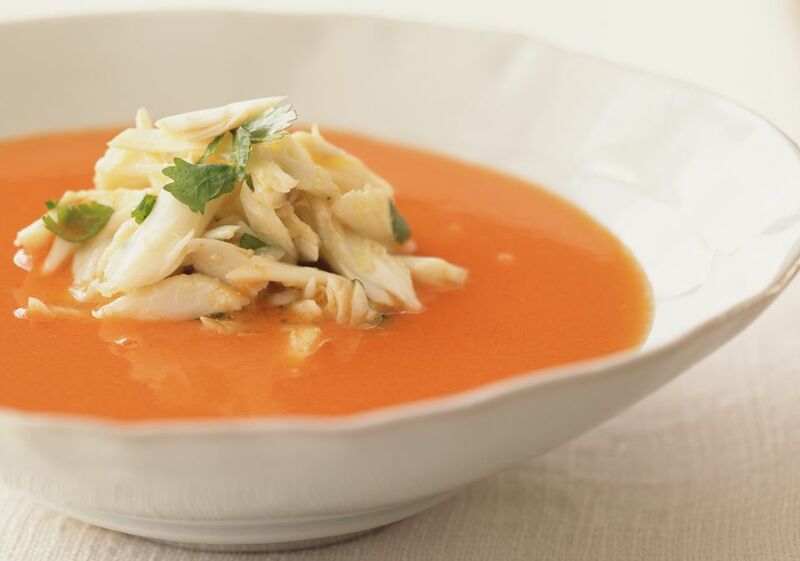 This crab bisque starts with a delicious but simple blonde roux. The creamy bisque gets color and flavor from the tomato paste, vegetables, and fish stock or clam juice. This succulent afternoon dish is ready in just over an hour. The shells are simmered with the vegetables to make a flavorful broth. Make the roux: in a small saucepan, melt butter over low heat. Stir in flour and cook until blonde (pale gold) in color. Split crab legs down the middle and remove meat. Reserve large pieces of crab shell and set meat aside for garnish. In a skillet over medium-low heat, sauté carrot, onion, garlic, celery, green onion, and tomatoes in oil until vegetables are tender. Stir in dry sherry and season with salt and pepper. Deglaze skillet; cook liquid down over high heat. Add stock and crab shells; bring to a rolling boil. Reduce to a simmer, cover, and continue to cook for one hour. Strain and discard crab shells and vegetables. Thicken soup with the roux and simmer over low heat for 20 minutes. Add tomato paste, half-and-half, cayenne, and salt and pepper to taste. Simmer for five minutes; strain. Garnish with crabmeat and parsley.